Since we know that GT200 had a massive size of 576 square millimeters we can tell you that Fermi is slightly smaller. 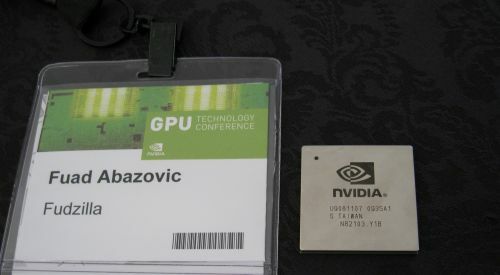 This was confirmed by Nvidia but we could not get the exact size of the chip. 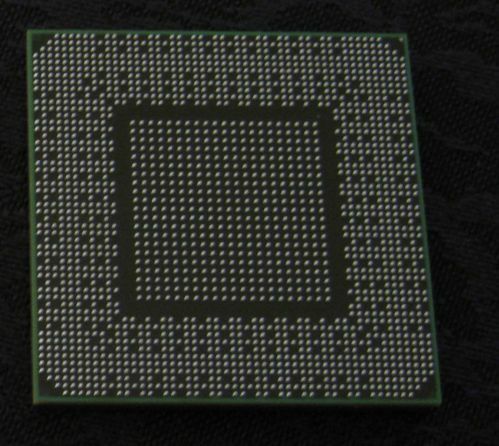 We just learned that the chip has 3.1 billion transistors and that is the only number they wanted to give away. We expect that Fermi has only slightly smaller die size and if we had to pick a number it would be something insignificant like 550 square millimeter. The TDP should be very similar to GT200 ones, that you’ve seen with Geforce 285 and 265 and the card itself has two connectors as it will need a lot of power. We will also see a few smaller versions of Fermi as these 512 shader cores are divided in 16 clusters and some cards can end up with eight or even less cluster and target the mainstream to entry level market.